Homes and Gardens is a monthly magazine showcasing all the heritage of the country manor with all the cutting edge ideas and finger of the pulse of a state-of-the art city pad. Buy a single copy or subscription to Homes and Gardens magazine. A combination of expert advice, product reviews and consumer feedback, the magazine uses nearly a century of wisdom (it’s been in print since 1919) to create one of the most influential monthly magazines in the industry. Make the aspirational accessible and achieve new levels of style and sophistication in your home. 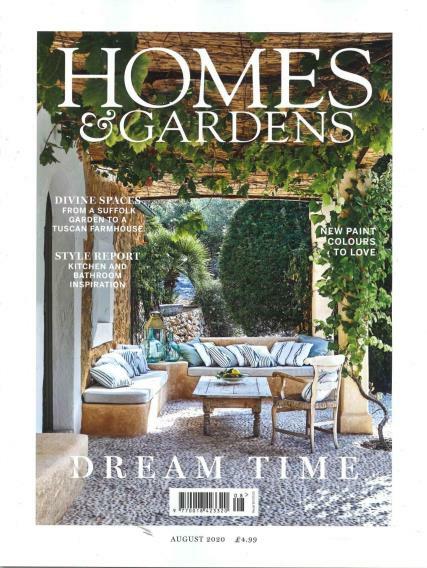 Each issue is packed full of beautiful house from both the UK and abroad, glorious gardens, the latest interior trends, news and lifestyle and design solutions. Plus, a section dedicated to shopping with stylist furniture, fabrics and accessories.